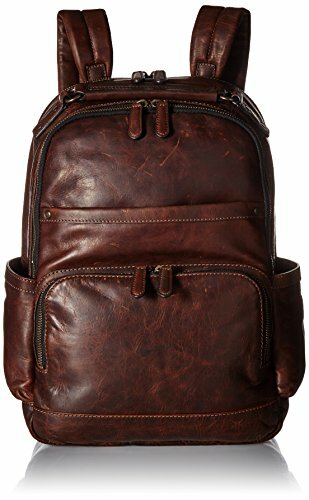 Worn, scuffed leather lends a well-traveled feel to this rugged Frye backpack. The utilitarian exterior has antiqued hardware and 4 deep pockets, and the lined interior has a zip pocket. Adjustable shoulder straps and top handle. Dust bag included.